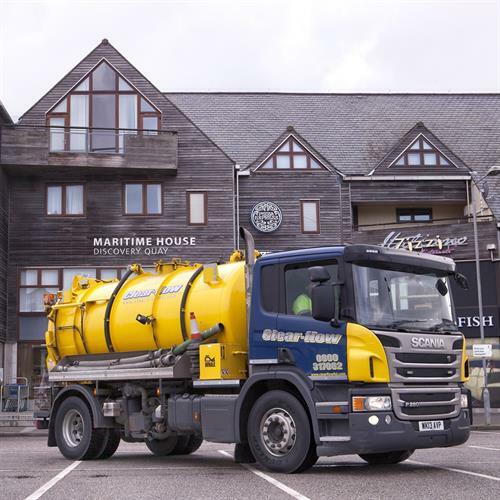 Clear-flow Ltd is an environmental liquid waste disposal, water jetting and CCTV Company. In fact we deal with all aspects of the sewer network. 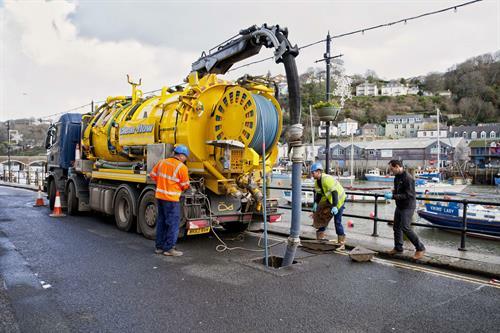 We specialise in commercial work and currently hold a major framework contract with the local water authority in Devon and Cornwall. Our activities include Tankering, High Pressure water jetting, drain clearance, confined space cleans, vactoring, deep lift, CCTV surveys, septic tank emptying, tank and sewer cleaning and drainage repairs (including 'no dig'). An example of our work is that we have recently been heavily involved in clearing the 'Fat Berg' in Sidmouth. Our operational heartland is Somerset, Devon, Dorset and Cornwall although we undertake work in all areas of the South West. Our fleet of 68 modern vehicles and significant plant gives us a capability that is unrivalled in the region. We operate out of our Environmental Management Centre in St Day, Cornwall and also have full service depots in Newton Abbot and Yeovil. We additionally site 2 vehicles in North Devon. In Yeovil we share our premises with our 'sister' company, YPH Waste Management Ltd (we have the same owners). This is our most recent depot and it is currently growing fast. Clear-flow has been going for 37 years and now employs 78 staff. We are pleased to advise that we are accredited for ISO 9001, 14001 and 18001, Achilles, Constructionline, Acclaim SSIP, Safecontractor, SMAS, ACDC Register and Chas. We employ a full time Health and Safety Manager who is qualified to Diploma Level 5 and also holds Grad IOSH. With our fleet of vehicles and well trained operatives we believe that we are very well placed to look after our customers to a high degree and operate with a high degree of professionalism and transparency. Customer Service is key to us and for our larger customers we offer a free of charge customer portal that gives full access to job and compliance information. We routinely offer a 24/7 emergency response, manned by our local staff and with assets spread across the whole area we aim to be on site within 1 hour of receiving a call. Whatever your drainage needs, big or small, Clear-flow will be pleased to help.